From 6 to 9 April 2017 in St. Petersburg 26th International Motor Show Auto World was held. The organizer is FAREXPO. General information partners are Avtoradio, Autogoda magazine, and the St. Petersburg television channel. General Internet partner - portal 110km.ru. For more than two decades, the Motor Show Auto World has been opening the spring and summer season and every year the community of professionals and amateurs with innovations, inventions, innovative technologies of the world automobile industry never ceases to amaze. Auto World 2017 was no exception, making car users happy with the innovations from manufacturers and official dealers of 17 brands. In all its glory appeared at the exhibition Auto World PJSC AvtoVAZ. At the stand of the Russian manufacturer, visitors saw the present and future of the domestic auto industry. Petersburg citizens were shown the concept LADA XCODE, clearly demonstrating the direction in which LADA brand will develop. 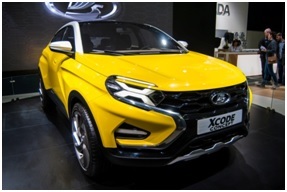 According to Alexander Bredikhin, head of the AvtoVAZ Marketing Department, "LADA XCODE is a city crossover that has clearly retained off-road characteristics (high ground clearance, large wheels, plastic car kit around the car's perimeter), but it has become more dynamic and sporty. We imagine that this is how the line of crossovers will develop in the near future. "Also the guests of the exhibition saw the serial LADA Vesta and LADA X-Ray in Luxe complete sets with the engine of 1.8 liters, LADA Kalina Cross and its sports modifications - NFR and Rally. The company ORIENT - the official dealer of UAZ - demonstrated the new UAZ Patriot in 2017. The main innovations concerned the technical equipment of the model. Serious modernization touched the fuel system. Now on the updated SUV UAZ-Patriot a single fuel tank has been installed. Specialists appreciated the all-wheel drive SUV Hunter and the "classic" - universal car UAZ Farmer. The official dealer of GAZ in St. Petersburg - the trading house SPARZ - in the sector of "Commercial Vehicles" introduced the line GAZEL NEXT 2017 of the issue: passenger bus, all-metal van, cargo-passenger car. Swed-Mobil traditionally uses the AUTO WORLD Motor Show to present the novelties of the season. Here and this time the citizens of St. Petersburg saw a luxury SUV Volvo V90 Cross Country and business sedan Volvo S90. The latter collected all possible modern technologies of the automotive industry. The guests didn’t ignore the already well-known models of the Volvo XC60, XC90, V40. The "highlight" of the stand was the exclusive Volvo 960 Royal 1997. The brands of luxe class showed the dealer center ROLF Premium. 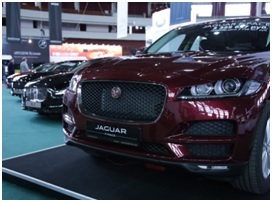 The Motor Show showed a line of cars Jaguar, Range Rover and Range Rover Sport, Range Rover Evoque, Discovery Sport. Visitors have got acquainted with tremendous new crossover Jaguar F-PACE. Attention of premium cars fans attracted Jaguar XE, Jaguar XF, Jaguar XJ. And the company ROLF Premium offered to look into the future each customer saw - Discovery 5 and Range Rover Velar novelties with a unique design, using virtual reality glasses, a special box and a smart-phone. At the Infiniti AutoProdix stand, the new Infiniti Q30, a five-door hatchback of the luxury class, created by Japanese manufacturers in close cooperation with Mercedes Benz specialists, took a worthy place. The company offered customers QX80, QX70, QX60, QX50, Q70, Q50, Q30 to choose from. The official representative of Mercedes Benz AUTODOM Pulkovo demonstrated Mercedes Benz E-Class, smart fortwo and smart forfour. Besides the line of commercial vehicles Mercedes Sprinter, Sprinter Classic, Vito was presented. The company Nissan AutoProdix has relied on the updated Nissan Qashkai - a car for those who appreciate the high level of comfort, vivid character and innovative solutions. The admired looks of all car lovers attracted the supercar Nissan GT-R. It was impossible to sit behind the wheel of a luxury model, but many were interested in taking photos of it. Also in the Motor Show visitors saw the popular Nissan X-Trail, Terrano, Murano. To support the honor of the brand at the exhibition AUTO WORLD came a special guest assistant head coach of FC Zenit Anatoly Tymoschuk, who spoke with the fans. Those who wish received an autograph and took a photo with a famous sportsman. In the ROLF Oktyabrskaya stand, cars of Ford, Hyundai and Mitsubishi brands were presented. Potential buyers saw at first hand the advantages of 8 models of cars and commercial vehicles: Hyundai Tucson, Hyundai H-1, Hyundai Solaris, Ford Kuga, Ford Fokus, Ford Transit, Mitsubishi Pajero Sport, Mitsubishi Outlander. Interestingly, already during the first hour of the Motor show on April 6, the handsome Hyundai H-1 found its new owner. Auto centre Aurora presented updated models KIA Optima and KIA Soul. Also experts have revealed all the secrets of KIA Sorento, KIA Rio - sedan and KIA Rio - hatchback, KIA Ceed. The Chinese brand Lifan was so popular that the lineup was presented immediately on two exhibition stands. The novelties Lifan X60FL and Lifan Solano II were presented by the representative office of Lifan Motors Rus together with three dealer centers. 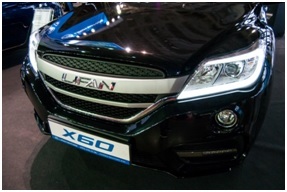 The updated LIFAN X60 features a dynamic and strict appearance. Lifan Solano II won the flawless combination of stylish design and high technologies. Company ORIENT - the official dealer of Lifan - has offered the customers classical Lifan X60 and Lifan X50 models. Chinese company Concern FAW has indicated the return to the Russian market. Petersburg citizens got acquainted with FAW Besturn X80 - front-wheel crossover with a 2-liter gasoline engine with a power of 147 hp. The company CENTER, an official dealer of SUBARU in Russia, provided an opportunity for the guests of the Motor Show to try on three models of the SUBARU - Outback, XV, Forester. The network of auto centers R-Motors surprised St. Petersburg with the brutal off-road car Niva-Lynx 1 from the company BRONTO. The exhibition also featured LADA Granta van, LADA 4X4 pickup truck, Chevrolet Niva. At the AUTO WORLD Motor Show, customers were able to compare different brands and get a special offer for the purchase of a car they liked and its maintenance. For VIP-visitors a closed show of the exposition took place, which was attended by 870 guests. As part of the reception, car manufacturers held presentations of automotive innovations and fully demonstrated modern technologies. AUTO WORLD Motor Show is not only an exposition of vehicles, but also related products and services. 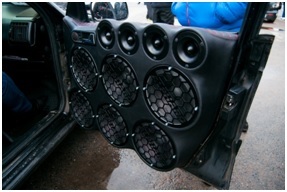 It was decorated by representatives of the tuning studio. 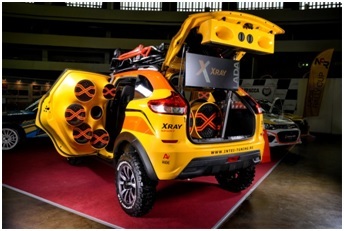 One of the brightest exhibits was LADA X-Ray, turned by experts of the company Inta-Lada into an off-road vehicle. The model received a modified hood, a winch on the front bumper, an increased ground clearance and a roof rack with light elements. Though, this is only an exhibition sample. Restyle Auto Company offered professional interior tuning. The spectacular exposition of Ford cars, modified by the professionals of Ford-Market, attracted a huge number of those who understand the car, but also numerous admirers of Selfie. Visitors to AUTO WORLD Motor Show saw a BMW with a motor from VAZ, a classic VAZ-2101 of 1971 released on the go and many other masterpieces of Russian engineers and designers. The Motor Show pleased its visitors with a variety of auto chemical goods and auto cosmetics. For 15 years, high-quality products of Russian development have been produced by the company Suprotec. In the honor of the anniversary, the company launched an extensive exposition: traditionally, at the Suprotec stand, an engine that works without oil is presented - as an example of the effectiveness of the tribotechnical compositions of Suprotec. And, of course, visitors were shown the whole range of auto chemical products produced by the company. A wide range of products was presented by: the leading lubricant manufacturer MPM-OIL, Akira Oil, OILProfit - the exclusive distributor of the AGROL brand (Sweden), 1NEW - the supplier of car chemistry and auto cosmetics from the USA, etc. Manufacturers and sellers of auto components, spare parts, security and anti-theft systems, such as AAALine, FAKRANE, RsPower, Antigone Center, Avto.World, etc. took part in the exhibition. Bright presentation of their products (brake systems, disks, lubricating oils) organized the company Volk Brake Performance. The guests of the exhibition took part in master classes, prize draws, talked with one of the leading autoblocks Konstantin Zarutskiy (AkademGome), met the pilot of AK Racing racing team Andrei Averkin and heard some advice on using products from international experts. The novelty and recognized quality of the goods pleased the guests the manufacturers and suppliers of tires, wheels, wheels, such companies as Wolf Tires, Nordis, etc. 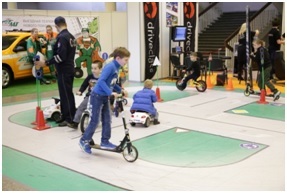 For the first time in the framework of AUTO WORLD Motor Show was organized a joint stand of the St. Petersburg driving schools. Those who plan to enroll in the ranks of car users, got acquainted with various training programs, opportunities and nuances of obtaining a driving license. A network of driving schools Smolny, driving schools GIS, Svetlanin Dom and others took part in the action. Separate expositions were presented by the State Traffic Safety Inspectorate of the Ministry of Internal Affairs of Russia for St. Petersburg and the Leningrad Region and the Main Directorate of the Ministry for Emergency Situations of Russia for St. Petersburg. Visitors got acquainted with the equipment of departments, held a photo session with the employees of the traffic police and rescuers. Young motorists were able to test their strength in the knowledge of traffic rules in a specifically organized Motor Car Corner. AUTO WORLD has become popular both offline and online. Social Networks dazzled with messages about events and promotions, every visitor tried to put photos on the Internet. In many respects such popularity was provided by bloggers - full participants of an exhibition, collecting millions of likes and subscribers. At their stands, they introduced the car owners to the latest news and reviews of the car industry, demonstrated video clips, conducted master classes, involving more and more new fans in the car community. A busy business programme attracted a lot of attention of the professionals of the automotive business. For the first time at the AUTO WORLD Motor Show, the whole day passed under the single brand. April 7 was declared a special LADA day. On this day a number of events dedicated to this Russian brand took place. At the stand of the domestic automaker, market specialists from all over the country got acquainted with the prospects of the development of the auto giant. Team Leader LADA Sport ROSNEFT Rally Andrey Vasiliev and corporate pilot Dmitry Voronov presented the LADA Rally Cup and told about the team's plans for the season. On April the 7th, a round table "Safety of traffic" was held. 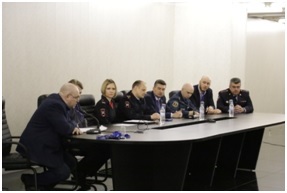 Heads of the Department of the State Traffic Safety Inspectorate of the Ministry of Internal Affairs of Russia for St. Petersburg and Leningrad region, the Chief Directorate of the Ministry for Emergencies of Russia for St. Petersburg, representatives of public organizations, journalists discussed the basic rules for interaction between employees of all departments and drivers on the roads; as well as issues of propaganda of traffic safety, paying special attention to the upbringing of the younger generation and the prevention of accidents. AUTO WORLD Motor Show 2017, thanks to a variety of activities and programmes, has turned into a real amusement park. Autorodeo, quest, rally, drift, auto sound - this is not the whole list of events that gave the exhibition drive and positive emotions. 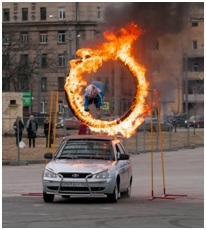 The dynamic show from the stuntmen of the Togliatti Trick group became a real decoration. With a sinking heart, viewers looked at high-speed turns at 180 and 360 degrees, driving on two wheels, tricks Skittles (knocking a person). "Nail" of the program was a jump at full speed from the roof of the car through the fire rings. Sport competitions - the traditional rally-sprint AUTO WORLD and the stage LADA Rally Cup - Petersburg weather tried to spoil it, charging in the morning not only the cold wind, but also snowfall. Fortunately, the start was already cleared up, and the athletes, who were about a hundred, played the coveted awards among amateurs and professionals. "Out of credit" was tried in the LADA Kalina NFR case by the two-time owner of the FIA International Cup for off-road competitions, Honored Master of Sports of Russia Boris Gadasin, Russian champion in rallying R3 among navigators and member of the factory rally team LADA Sport Rosneft Rally Vasiliy Krichevsky, Dmitriev. 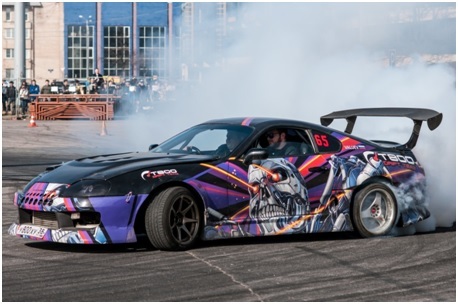 The opening of the Russian Auto Audio and Tuning Championship 2017 EMMA Russia (international stage) gathered 79 participants from all over the country. Traditionally, the championship included a review of cars in various categories: sound quality, multimedia, sound pressure (ESPL), tuning. The competition was attended by both beginners and experts. Some of them have crossed hundreds of kilometers to get to the place of competition. The professional jury, including special guests EMMA Global president Alex Clett, Norbert Tika, EMMA Global's chief manager, Antero Kolly, president of EMMA Finland, was unusually strict this time. The smell of burnt rubber, smoke from under the wheels and a stormy ovation of spectators accompanied the speeches of drift masters. SHOW OF MASTERS from Rally Club included performances of drifters, kartingists - pupils of children's school Racing Kids, musicians. Sports excitement and adrenaline rush was experienced not only by racers, but also by spectators gathered around the track in large numbers. The main event of the exhibition was the drawing of the main prize from the organizers - the car Lifan Solano II. The lucky one was one of the ticket holders, bought at the box office of the SCC. AUTO WORLD Motor Show 2017 turned out to be bright, colorful and eventful. For 4 days, the exhibition was visited by 64 328 people. For more information about AUTO WORLD Motor Show, please visit autoworldexpo.ru.